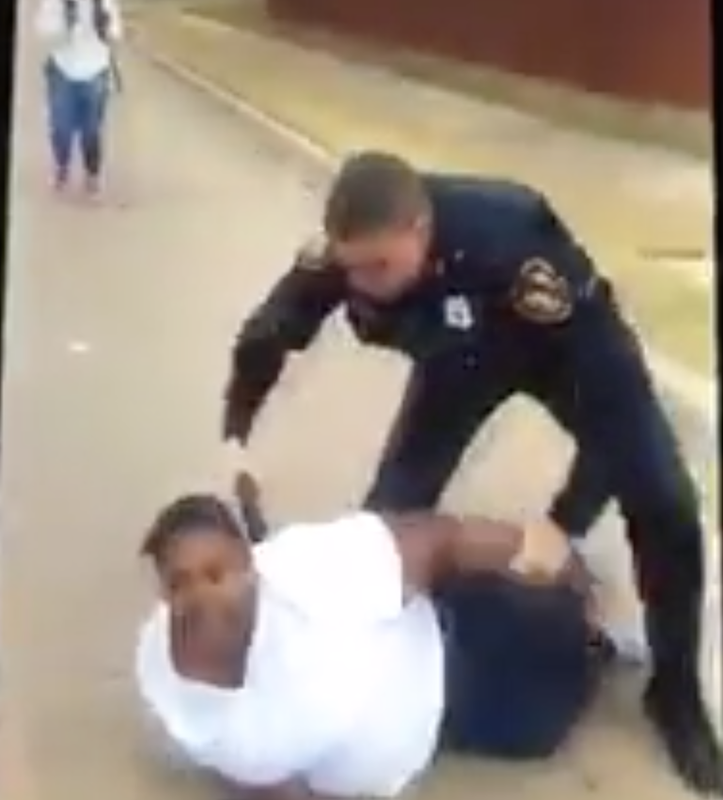 A white Fort Worth, Texas, police officer who was caught on video violently arresting two black women following an argument about a child littering will be suspended without pay for 10 days, authorities announced Monday, Time reports. According to the report, the Fort Worth Police Department launched an internal investigation late last month after video of the arrest went viral. Jacqueline Craig, the mother in the video, reported an assault on her young son after the boy was allegedly choked by a neighbor over littering. When the officer, identified as William Martin, turned a deaf ear to Craig's pleas, the situation unraveled. Martin can be seen pushing Craig to the ground and pressing a Taser into her back before pointing the Taser at Craig's children. Martin also pushes Craig's 19-year-old daughter, Brea Hymond, to the ground and arrests her, too. Martin had been on "restricted status duty" until Monday, when officials concluded their probe and placed him on suspension. “Officer Martin was contrite. He’s ready to get back to work. He’s very sorry for what has transpired,” Fort Worth Police Chief Joel Fitzgerald said Monday at a news conference, calling the incident an "isolated" one and adding that the suspension was a "significant punishment," Time notes. Time reports that an internal investigation found Martin showed "discourtesy" and had "inappropriate contact" with at least one of the women that he arrested, Fitzgerald acknowledged, and that he will undergo training while being allowed to return to patrol the same neighborhood. According to the report, a lawyer representing Craig, S. Lee Merritt, blasted the light punishment, calling on the officer to be fired and to face criminal charges.